While technical aspects of technology remain important to IT departments, business users are taking center stage in the market. The best BI deployments result from IT and business departments collaborating effectively. Many business users want technology that allows them to run queries and pull reports without the help of IT. Consequently, ease of use has skyrocketed to a top consideration for buyers. 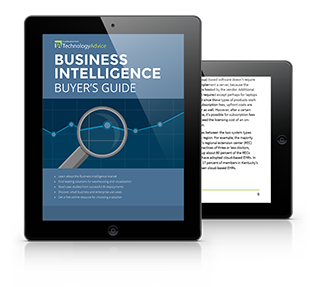 This guide will provide an overview of the top business intelligence vendors as well as things to consider when shopping for a business intelligence solution.